The Microclimates research project is concerned with understanding the localised effects of climatic variation on the viability and efficiency of land-based renewable energy sources and on the impact which such schemes have on the environment. 1. How well can we model local scale climatic variation? 2. How do farm farms affect carbon cycling processes in carbon-rich ecosystems? 3. How does modification of wind speed and turbulence by wind turbines affect the efficiency of wind farms? 4. How does local scale climate variability affect bioenergy crop growth and yield? To address these scientific questions, the Microclimates research is split into five work packages. The Weather Research + Forecasting (WRF) model will be adapted to form the basis of a new microclimate modelling approach. National Centre for Atmospheric Science (NCAS) researchers will use the WRF model to model climatologies for specific sites and applications i.e. wind farm and bio-energy crop sites. This work package is led by Professor Stephen Mobbs (NCAS), with contributions from the NCAS team (Dr Ralph Burton, Dr Victoria Smith, Dr Sam Peppe). As part of WP0 Dr David Brayshaw (University of Reading) will focus on identifying UK weather systems, and will assess their variability under current and future climate simulations. This will provide greater understanding of the likely future changes in the synoptic scale (weather) forcing to the microclimate model. 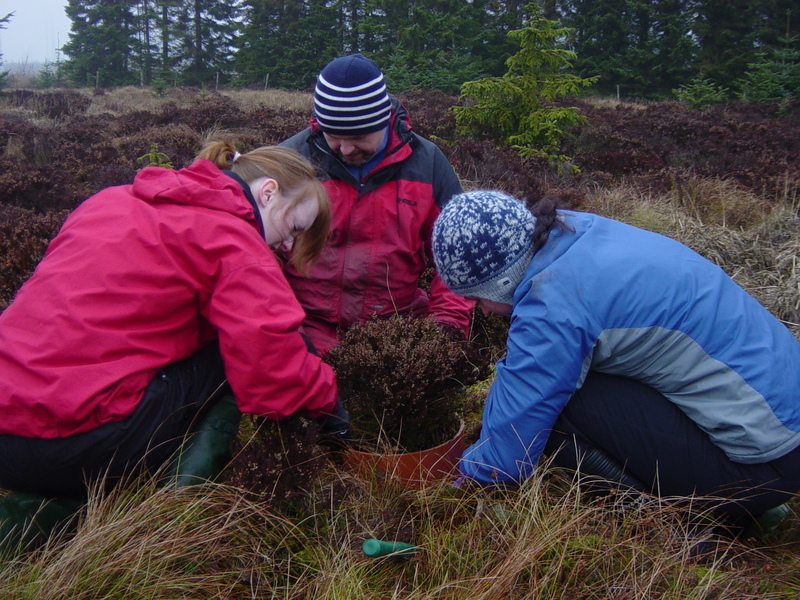 The main aim of WP1 is to assess the resilience of carbon sequestration and storage in peatlands to wind energy generation. 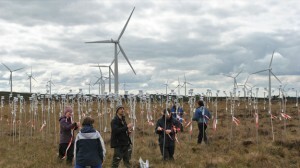 The effects of wind farm-induced microclimates on the carbon balance in peatlands are currently unknown. 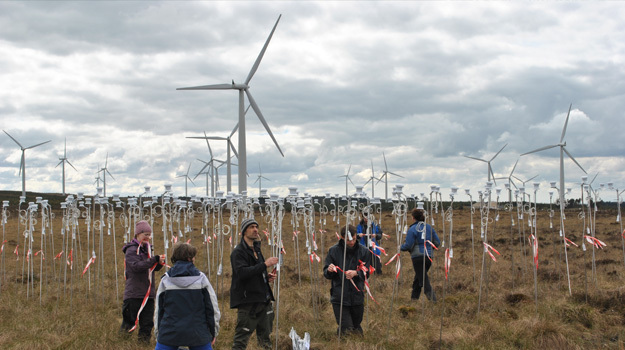 WP1 will implement a wind farm peatland field study to investigate landscape resilience to the changing microclimate and address this uncertainty. This work package is led by Professor Susan Waldron (University of Glasgow), Dr Jeanette Whitaker (Centre for Ecology & Hydrology (CEH)) and Professor Nick Ostle (CEH/now at Lancaster University). Dr Alona Armstrong (University of Glasgow/now at Lancaster University) is the WP1 post-doctoral researcher. 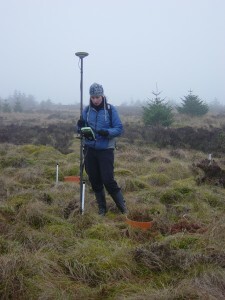 The WP1 PhD student is Harriett Richardson (University of Glasgow/CEH). A computational Fluid Dynamics (CFD) model will be used to provide high resolution estimates of wind speed and turbulence. The CFD model will be used to better understand wake effects at wind farms and for the purpose of wind resource assessment. This work package is led by Professor Simon Watson (Loughborough University), with contributions from Scott Wylie (PhD student at Loughborough University/now at ZephIR LIdar). 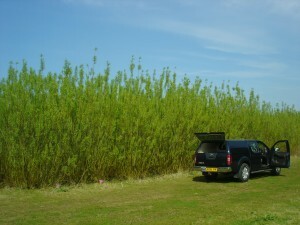 A process-based crop growth model, which has been developed for the bio-energy crop Miscanthus, will be used to identify crop development and productivity at sites with complex terrain and surface roughness. The main aim is to better understand the effects of microclimates on bio-energy crops, and the identify the key factors that control changes in crop growth and yield. This work package is led by Dr Goetz Richter (Rothamsted Research), with contributions from Dr Francesco Agostini (Rothamsted Research) and Alexandra Barker (University of Edinburgh). The main aim of this work package is to disseminate the findings of the Microclimates research project to those with specialist and more general interest, and in turn benefit from their feedback. WP4 is led by Professor Susan Waldron (University of Glasgow) and facilitated by the Knowledge Exchange Officer Dr Harriett Richardson (University of Glasgow).